How about mixing science with nature and geometry to restore green? If this question puzzles you, just go and visit Arasankazhani Lake which is located alongside the roads of Chemmanchery – Perumbakkam region in Chennai.This unique lake is vastly spread water body which is the natural inhabitant of variety of birds, amphibians and reptiles which is diagonally close to Bollineni Hills – The hillock which is declared as protected area and under the control of Archaeological Survey of India (ASI) due to its historical importance, evolving the roots to be the ancient living place of Siddhas and Medicinal herbs. 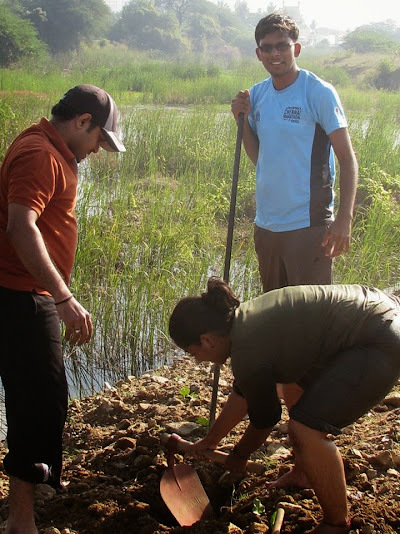 It all started couple of months back when EFI( Environmentalist Foundation of India) team started their efforts to desilt and clean the weeds that got accumulated inside and surrounding the lake. With the support of few local residents in Bollineni Hillside Apartments, the lake was cleaned up by EFI deepening & increasing the water holding area with scientifically built geometrical islands based on the water collection & wind direction. These islands were raised inside the lake area with the mechanism to resist winds separating the silt stagnant to one corner of the lake by instrumenting “Q” shaped islands and creating “G” shaped islands on the other stretch of the lake area to promote and the water home for lake turtles, fishes and tree home for birds. 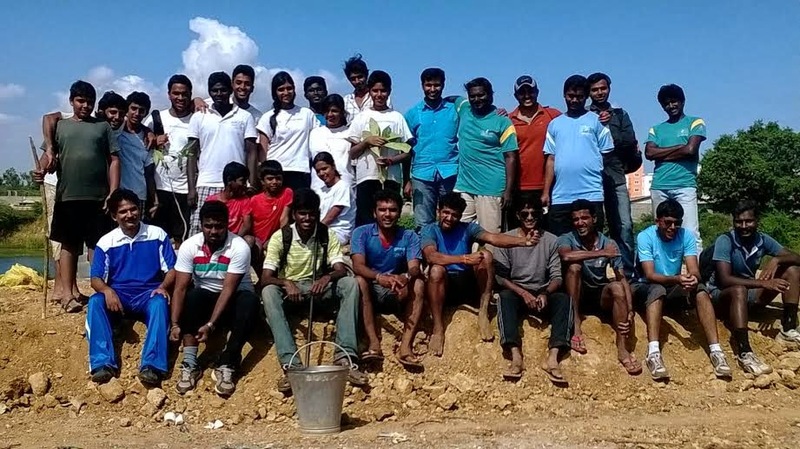 While EFI Team along with the support of local residents completed its first stage, cleaning up the South Western part of the lake raising the islands & strengthening the bunds, Chennai Trekking Club team (CTC) joined hands with EFI to plant saplings along the islands and bunds of the lake. 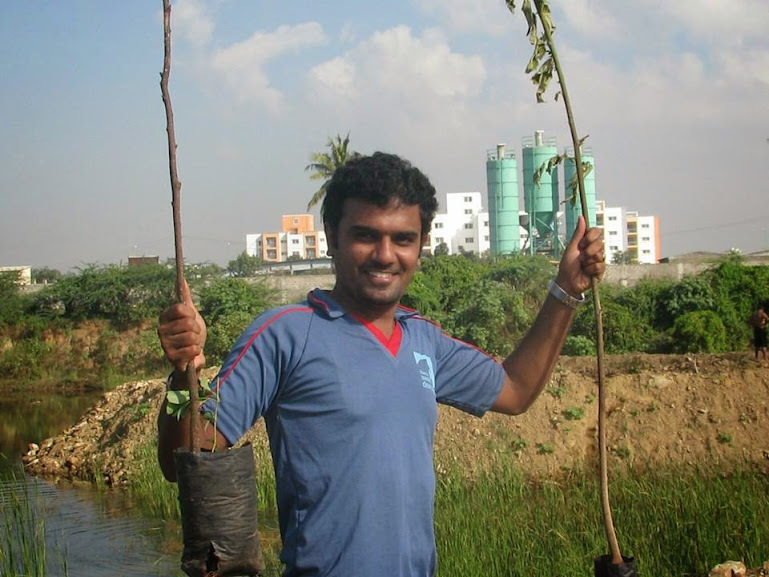 On Dec 22, 2013, the day dawned with a cool breezy morning when CTC & EFI team members gathered together with a greener goal to plant tree saplings along the geometry landscapes of the lake. Around 7:30 AM, we all loaded down the saplings which were categorically selected as fruit bearing trees, shade providing trees and erosion control trees. While Singapore Berry (Muntingiacalabura) and Blue Berry trees (Vaccinium) were selected for fruit bearing purpose solely to attract bird population to lake, Magilam (Mimusopselengi) & NeerMarathu (Terminaliaarjuna) trees were chosen to promote shades & nesting along with Bamboo (Bambuseae) saplings to control soil erosion along the island bunds. 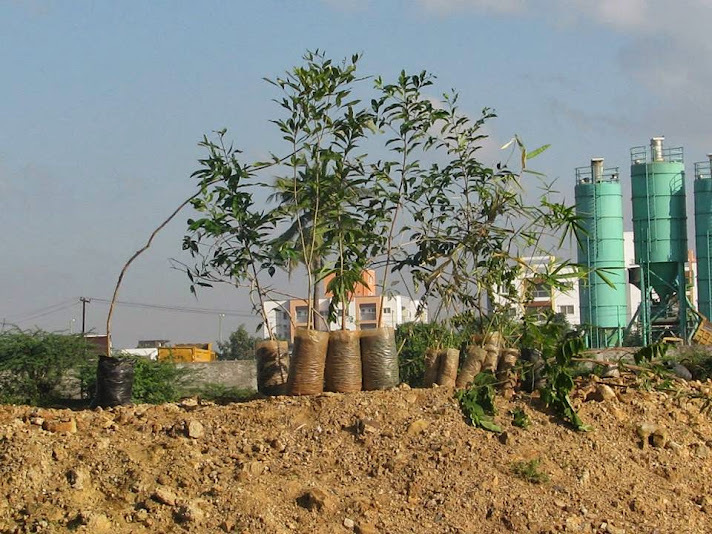 When we lined up all saplings, they looked like small infant babies longing to connect their roots on earth & grow along with the care of Mother Nature. EFI team promoted the event and awareness by conducting road shows at public gathering places in the nearby areas which made some of the local public people to gather around the lake for the morning plantation event. 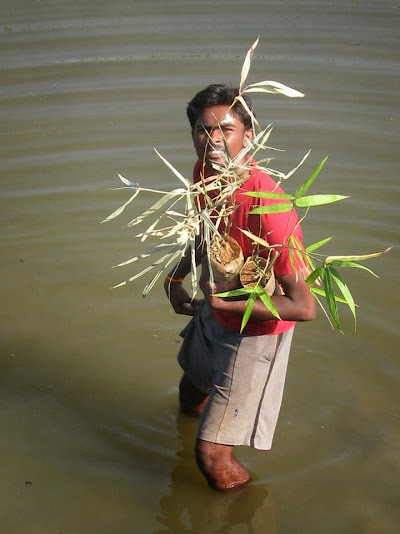 Around 8 AM, CTC team members along with EFI team started to form human chains along the lake bunds and inside water to transport the saplings to be planted to the 2 unique landscaped islands. While some of us were busy in transporting the saplings, the others moved across the island bunds to dug pits to ground the saplings. Some members of the team collected and gathered the manure soil mix along with coconut shells to be used for mulching the planted saplings. Our legs started to feel the out-of-comfort zone as we stepped inside the lake and walked towards the islands because of sharp strong stones inside the water that tested our steps. We identified the areas where saplings have to be earthed and made the markings to dug pits. We made our plans to plant the fruit bearing saplings along the upper and middle stretches of the mud islands and bamboos at the lower portion of the island bunds to prevent soil erosion and promote nesting option for the birds. While some of us were busy in digging pits and transporting tools and manuring materials, innovation made its way in building a floating ferry using old water barrels and bamboos. We built a floating ferry to transport saplings and planting materials which was also used by local kids as a playing ferry after some time. The day proceeded with stronger sun, with every team member in CTC & EFI displaying unlimited enthusiasm in their faces supporting every other member in the plantation activities. As the plantation activities carried through some of the local residents and kids joined us and stepped inside the waters to join the efforts. It was happiest occasion to see small kids showing greater joy to plant saplings and water them. Every plant was carefully planted on the soil, firming the soil around followed by mulching it with coconut shells to prevent weeds and improved water retention content. Some of the team members engaged themselves in supplying biscuits, tea and juice to keep the hydration levels up thus making the body energy meter high. There was an immense sense of satisfaction and wholehearted joy that emerged among CTC & EFI team members after grounding each and every sapling. 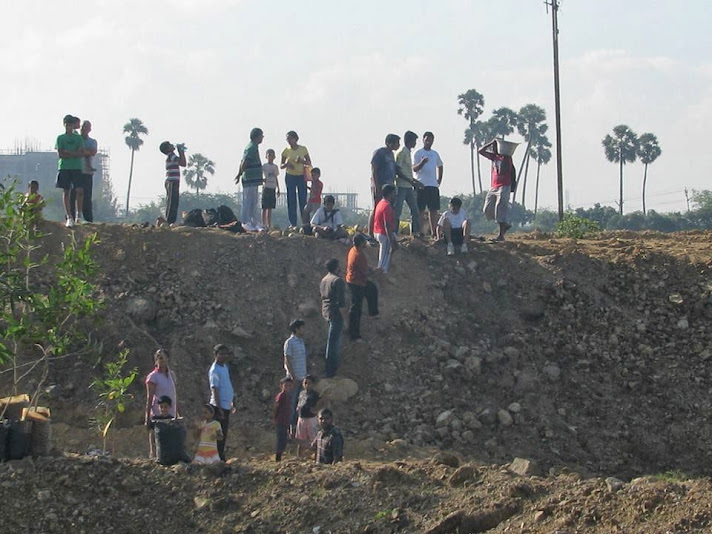 The local kids along with CTC & EFI team engaged themselves in sowing Neem seeds along the fencing side of the lake. 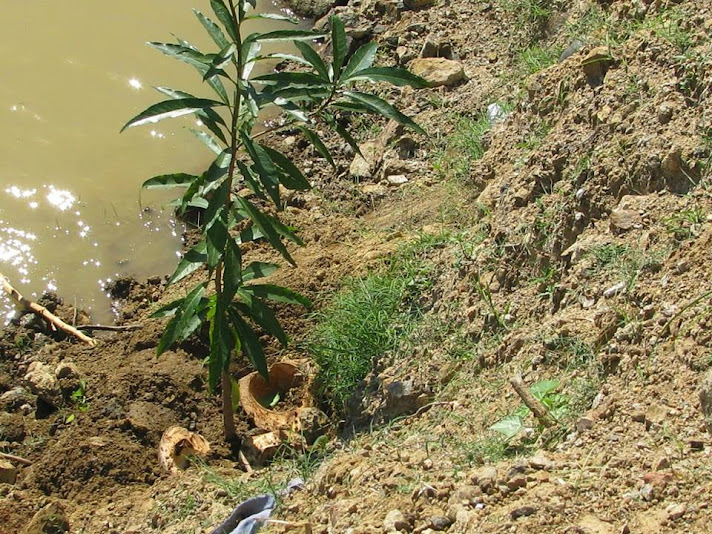 At around 1 PM, we completed planting the saplings across both the islands inside the southwestern part of the lake which are now ready to bear the future fruits of shade, food, nest and most importantly promoting a sustainable biodiversity for the flora and fauna of Arasankazhani region. 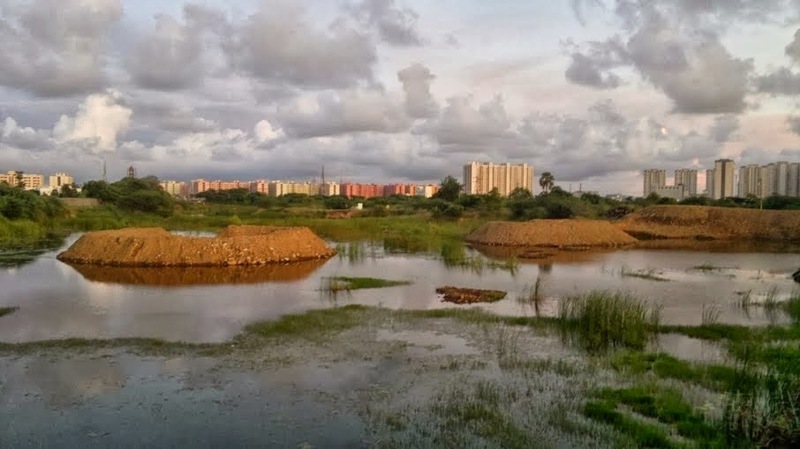 One of the flagship effort by EFI co-supported by CTC team, we are on the way to create one of the greenest lake eco system which will attract lots of birds & animal species. Now a days we keep on hearing the word “Restoring” to every form of nature, which is highly alarming due to the depletion scenario. Nature, which is self created by evolution is strength by itself and it’s distressing to hear repeated “Restorations” of nature by many means. Restorations continue to happen these days as diminutions of nature continue for materialistic human needs. Nature is an element that acts as a nucleus of life existence and survival, which when destroyed for material needs will have adverse effects not only for the human race but also shatters the life chain of flora and fauna. The best gift that one human could present to the existing and future generation is not a developed (?) city or a monetary material but an unspoilt & pristine Nature. At the end of the day, EFI & CTC team departed with the same sense of gratitude. As we all left Arasankazhani Lake the saplings watched us happily, waging their branches thanking us for their birth!